WARNING: We are working with Microsoft to resolve an issue with backing up the OneDrive folder when "Files On-Demand" is checked. In that setup, the OneDrive folder is currently not protected, even with Retrospect Backup 15.6, and if you do a full system restore (bare metal recovery), you need to uncheck the OneDrive "Files On-Demand" option. Otherwise, Retrospect Backup will restore a blank folder, and the empty folder will be synced to the cloud, deleting any cloud files you may have. With Retrospect 15.1.2, the scan and backup do not stop. However, there is still a known issue where the OneDrive folder is not protected. We are in contact with Microsoft to resolve this. If with the latest version of Retrospect you are still noticing the -1103 errors are interrupting your backups, you can correct the problem by enabling the Default administrator account on the system being backed up, and then setting Retrospect, or the Retrospect client to always run as that user. This may not be possible if the machine acts as a Domain controller. First you must enable the default local Administrator. If you are correcting these errors on for a local backup this should be done on the machine hosting Retrospect. If this is for a client backup this should be done on the client machine. Right click user account called Administrator with the description of “Built in account for administrating the Computer/Domain” and click Properties. Uncheck the “Account is disabled” checkbox and click OK.
For Windows Home users the above options are not available, the command prompt must be used instead. Open up the command prompt as administrator. To do this, press the Windows key on your keyboard or click the start button at the bottom left of Windows. 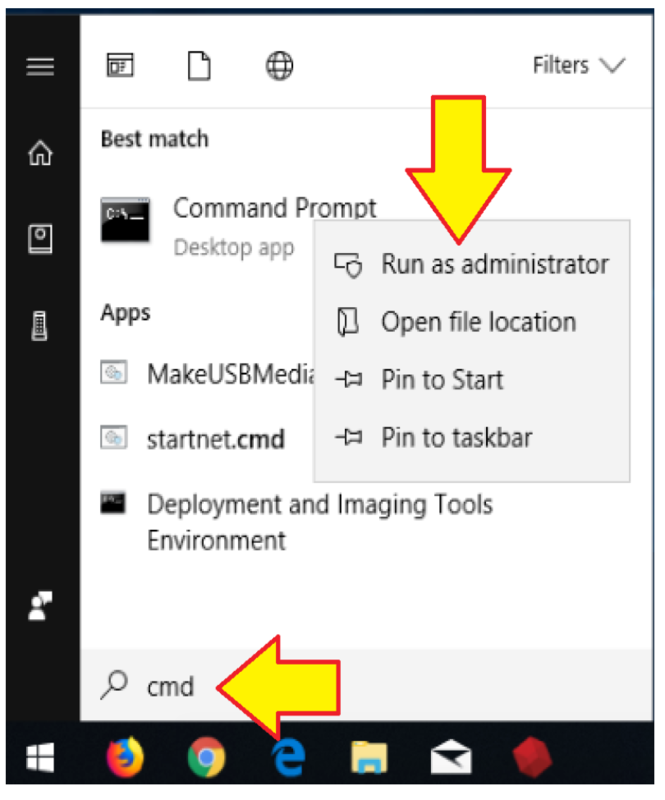 Once the start menu is open, type cmd – you will notice at the top of the start menu it will show Command Prompt – Right click on it and choose Run as administrator. After you hit enter, you should get a response stating the command completed successfully. Note: If you get a message stating access is denied, then you most likely did not run the command prompt as an administrator, please see step 1. Now we are going to give the administrator account a password. Type in the following: net user administrator [Password] – Note: [Password] should be replaced with an actual password of your choosing. Please be sure to set a strong password for this account. Once this is done, you should get another message stating the command completed successfully. Once the Default Administrator account has been enabled you should use the following steps depending on whether or not you are fixing the problem with a client or a local backup. Within Retrospect head to Configure > Preferences > Security and click the “Always run Retrospect as the specified user” radio button. Fill in the Default Administrator credentials and click OK.
Open up Services.exe on the client machine and locate the Retrospect Client service. Select the “log on as” tab.